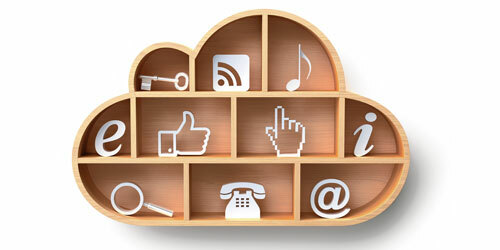 Any business owner who has not heard about the cloud may be living under one. Cloud computing solutions for email, file storage and business applications are ubiquitous – and growing. According to the technology research firm Gartner, by 2014 information technology organizations in 30 percent of Global 1000 companies will broker two or more cloud services, up from 5 percent today. Andy Wiggins, managing partner at the South Florida information technology services company Integrated Technology Corporate Solutions, agrees the cloud is here to stay. For many companies transferring some operations to cloud-based services – which are hosted on servers offsite – can increase efficiency and reduce costs, he says. Wiggins cautions that cloud computing is not for every business or function, however. Data stored in the cloud resides on servers shared by many other users, which can make it inappropriate for businesses that deal with sensitive information, such as health care providers, or the legal or financial services industries. Also, relying on cloud solutions means if the cloud goes down, a business could be “dead in the water,” he says. Such an outage occurred last December when Amazon Web Services encountered a problem that caused a disruption in Netflix service. To help prevent such interruptions and provide for security, Wiggins advises going with big-name providers – he mentions Microsoft, Rackspace and Google – and understanding the services they provide. Integrated Technology Corporate Solutions has offices in Broward, Miami-Dade and Palm Beach counties; itcscorporate.com; 866-580-4826 or 561-393-7077. –Do you offer tech support 24/7, 365 days a year? –What is your security policy in relation to my data on your servers? Is it encrypted? Does your cloud have firewalls to keep intruders out? Do your employees have access to the data? –How much redundancy do you have in your systems? If an Internet connection goes down, do you have multiple backup connections? If a server breaks down, is my data mirrored on other servers? What are your policies and procedures for dealing with disasters? –Will you supply references to companies that utilize your service?